Couldn't find in the help docs ? Have a question for us? 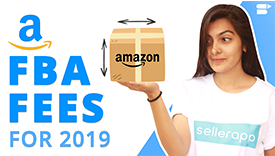 SellerApp is helping thousands of people and big brands optimize their ecommerce business and in turn increase their sales. If you have any questions about our product or service, please use the contact form to describe your problem and we’ll get back to you as soon as possible. Give us as much as details you can. The more we know the better we can help you.